Such fun, three runs over four days – what else would you be doing on a Bank Holiday weekend. First up was the Good Friday Good Run in St. Annes Park in Raheny – another impressive Dublin urban park and a source of many of my happy running memories. Friday it was cold, well cool but i felt cold. I was early, as always, a combination of an unrelenting habit – perhaps genetically inherited from my father, dropping my daughters off to study and no traffic. The new bike lane along Clontarf is coming along nicely – i’ll have to cycle out there some time during the summer. Still wasn’t first though – just what does one have to do to be the first arrival? – camp over night? – a bit like buying a house in Dublin these days again. My spiritual path suffers more interruptions and false starts than my running career and i struggle especially at Easter – and so i mark the day with a little pain and suffering, a little joy and a contribution to a good cause – in this case IMNDA, the Irish Motor Neuron Disease Association. Motor Neuron Disease is a progressive neurological condition that attacks the motor neurones, or nerves, in the brain and spinal cord. This means messages gradually stop reaching the muscles, which leads to weakness and wasting. A good cause to run for and an opportunity to be especially thankful that i can run and to remind myself that much of my running is for others, for those who can’t run, for those who would like to run and, even, for those who resist running when they know they should lace up their runners and hit the pavement. I take the opportunity of arriving early to practice some meditation – meditation and running – mental and physical health – track or cushion – a great combination so long you don’t try them both at once. And the crowd arrives and the buzz starts to build. The Good Run is just that, or rather two good runs, a 2.5m and a 5k with loads of mammies and daddies running with their children, being outrun by their children often too. Two Good Runs makes a Great Run. We warmed up, had no choice due to the gentle cajoiling of the lady with the mike – and we were off. Two laps in a beautiful park – wonderful. 25:25 was my time, a goody bag my reward. Saturday morning was parkrun day and i was off to my regular, Marlay Park and i was not alone. 100 timers clocking up that milestone every week now. Another perfect morning – i struggled a bit with tired legs and came in at 26:10 – a little bit slower than my Good Run. I tend to be a little bit too competitive and actually, believe it or believe it not, put myself under pressure to try and run a faster time each parkrun – what a contradiction – what a daft idea. So now and again i have to shake myself mentally, remind myself i am running for FUN, and practice smiling while i’m running. It works for a week or two. And then i start to stress myself again – someday i may absorb the lesson. In the meantime i will keep reminding myself regularly. 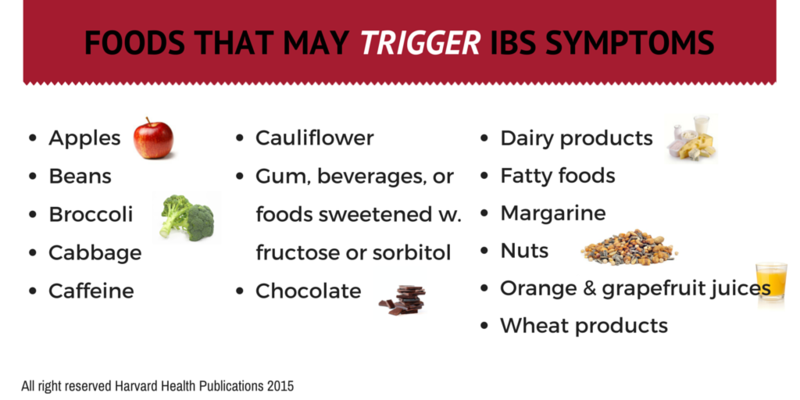 Easter Sunday was a day off, running and chocolate – my IBS does not take kindly, or Kinderly, to chocolate. Something else i have to keep reminding myself of. Monday was a 10 miler – phew – now that’s serious. Its not so long since if i had to travel 10 miles i’d take a bus, or a train. Monday’s Battle of Clontarf 10 Mile Road Race 2017 was to be my second ever 10 mile race – i was a little nervous – but early – a little nervous and a lot early. Still not first though. And it was back in the beautiful St. Annes Park again. The race was part of the Battle of Clontarf celebrations – the original was fought on 23 April 1014 between the Irish and the Vikings and lasted from sunrise to sunset. I hoped to complete my battle in a somewhat shorter time but did not expect the scale of the victory obtained on that day by the Irish. I lost my energy gel somewhere along the way but was saved by the Lady with the Jellies – as the race involved two and a bit circuits within St. Anne’s Park, I dipped three times into the jellies collection and thus fortified, and keeping on eye on my good friend TomTom, kept my pace just below 6 min/km. Don’t just take my word for it, if you have never run in St. Annes Park then put it on your list, near the top of your list in fact – it is a beautiful park to run in. As you come down the hill towards the sea, the view opens out before you and you can see all the way across Dublin Bay to Killiney and beyond – worth running around twice just to resample the view. Because the race doubles back on itself a couple of times you get to see a lot of the people who are ahead of you and most of the people, if like me you are part of the rearguard, behind you. But it helps get your head sorted. And so we came to the last few hundred metres and another runner, who had been yo-yoing with me over the last couple of miles, opened up a bit of a gap ahead of me. Now remember what i said about being a little bit competitive and remember that two thirds of the runners were already home, in fact some of them may have had their feet up in front of the telly at that stage, but i couldn’t let him go, just couldn’t. Dug deep, found that reserve tank, and closed the gap. Knew i had to sprint to beat him to the Finish line, didn’t know what reserves he had but heard a satisfying grunt from him as i passed him – oh the wicked little pleasures of racing. Finished in 1:34:56, some two and a half minutes better than my last 10 miler. Goody bag earned, plaque secured, PB clocked up. “See you on the track or on the cushion” – quoting Sakyong Mipham from “Running with the mind of Meditation”.